High Schoolers: PSAT Day is Coming Wed 10/10! MS & HS Theatre Programs Begin Soon! High School Expeditions Has Begun! Reminder that there is no school (for both middle and high school) on Monday, October 8, 2018. Come to the director coffee on Tuesday, October 9 from 8:30-9:30am (campus TBD). Director coffees offer Denali families a chance to meet informally with one of the directors. It starts with an update of recent and upcoming events of note and then opens up to questions from the community. Any/all parents/caregivers are welcome. No RSVP needed. On Wednesday, October 10th, all 9th-11th grade students will engage in our College Readiness Day! 9th grade students will complete a PSAT 8/9 practice test and 10th and 11th graders will take the PSAT/NMSQT. Both of these tests give students a preview of and practice with one of the major college admissions tests. Our 11th graders are also taking a college readiness expeditions course this year, which includes some guidance on test preparation for the PSAT, SAT and ACT. The results of the PSAT are for the student’s use only – they’re never sent to or seen by colleges. 11th graders are also automatically entered in the National Merit Scholarship Competition when they take the PSAT and with high scores they could win money for college! Arrive to school ON TIME! Read this presentation to learn more! High School PSAT testing is coming up on Wednesday, October 10 and we’d like to be able to offer a small snack to each student. To do that, we’re asking if a few parents would be willing to donate items for snacks. If you can help, please sign up on the sign-up sheet: here. The test is on Wednesday 10/10, but we’re asking for items to be delivered by the end of the day on Tuesday 10/9 to Ms. Torres at the Washington campus so that we know if we need to purchase any additional items. Of course, items can be delivered prior to that as well. Come to the Parent Org Meeting on Thursday, October 11 at our high school campus (1133 W. Washington Ave, Sunnyvale, CA). Meet with other parents and our director(s) to learn how to be an integral part of Denali by volunteering to help with fun school events, mentor group activities, extracurricular activities and various groups that support other parents and our school. There is something for every interest and time commitment both big and small. Be Active! We are seeking experts from our parent community to join a Panel Planning Committee for Summit Denali’s screening and discussion for the documentary film, Angst, which we are screening on November 13th. In particular, we are gathering those with professional expertise as a licensed therapist, school counselor, social worker or human resource representative. Our committee will have an opportunity to preview the film and build a Panel Discussion that will take place at the event. 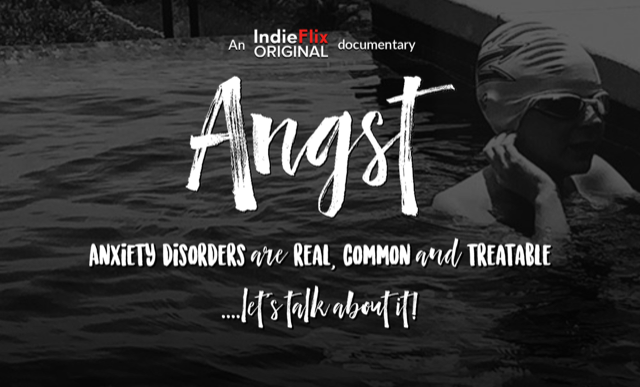 We are looking for professionals who can talk about anxiety and how it specifically affects their group, and why s/he feels the film is timely, useful and beneficial. Additionally, if there are people who can help with printing posters/hanging flyers from our moviemaker’s resource kit, that would be very helpful! Please notify Debbie Stauffer, Parent Ed Coordinator, at edebbie@mac.com by October 10th. We will organize a committee meeting soon after that time. Audition Workshop – Come learn how to pick good audition pieces, analyze the script and present a stunning audition piece! Student information meetings will be held by Ms. Steele October 11th and 12th, at lunch! Both High School and Middle School Theatre Programs are in the planning stages and preparing to launch in October. If your student is interested in participating in these programs, please make sure to join the Denali Theatre social group on Konstella. Summit Denali has additional spaces for enrollment in grades 6-11. Our budget depends on full enrollment, and WE NEED YOUR HELP to increase enrollment. We want to be sure that every family who wants a rigorous, college-prep education for their students has an opportunity to attend Denali. Having full grade levels builds a strong Denali community and provides the Summit opportunity to a greater number of young people. Do you know another family with children in grades 6, 7, 8, 9, 10 or 11? Families you went to elementary or middle school with? Families from sports leagues, community groups, religious groups? Please help us spread the word! Families can see more information at http://denali.summitps.org. You can have them reach out to Kevin directly at kbock@summitps.org, call the front desk at (669)721-2646, or enroll at www.summitps.org/enroll. If you refer a family who enrolls, you’ll get a free Denali hoodie sweatshirt! Our fall sports are still going very well and our student athletes are having a blast. We have been proud of how well they have shown both their competitive spirit and sportsmanship! Read more about upcoming seasons here. Recruitment for MS boys basketball and HS basketball and soccer will begin soon. If you have not, please complete athletic paperwork ASAP so that you can be ready once information about the seasons is announced. The Expeditions Team is delighted to be back at Denali, bigger and better than ever before! We are offering Multimedia Political Journalism, through which students can earn a Visual/Performing Arts Credit while covering this year’s elections. The students will be hosting their first press conference with local candidates this week! Former Denali Art Teacher Kalyn Olson is now Dean of Expeditions! We are hoping to partner with you this year in getting feedback on courses, having you join us at showcases and Celebration of Learning, and asking for your support on field trips! Our inbox is always open– please share any feedback you have with us and let us know what courses you want to see next year.